Live Evil Coin prices from all markets and EVIL coin market Capitalization. Stay up to date with the latest Evil Coin price movements and discussion. Check out our snapshot charts and see when there is an opportunity to buy or sell Evil Coin. 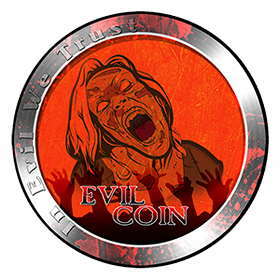 EvilCoin was created to embrace, reward and inspire "evil". EVIL is a Pow/PoS cryptocurrency that uses the X11 algorithm, it allows fast and anonymous transactions across the blockchain.